An accreditation dispute with the state threatens to close the camp for people with disabilities. In 1975 the Georgia Jaycettes (wives and girlfriends of the Georgia Jaycees) had the idea to build a summer camp facility for children and young adults with disabilities. At the time there wasn’t another fully accessible camp in Georgia. Over the next 20-plus years, the Georgia Jaycees orchestrated the raising of millions of dollars to build the facility at the Roosevelt Institute for Rehabilitation in Warm Springs (Roosevelt Warm Springs). In 1996 the Georgia Jaycettes opened the doors to the first Camp Dream session, serving seven campers. 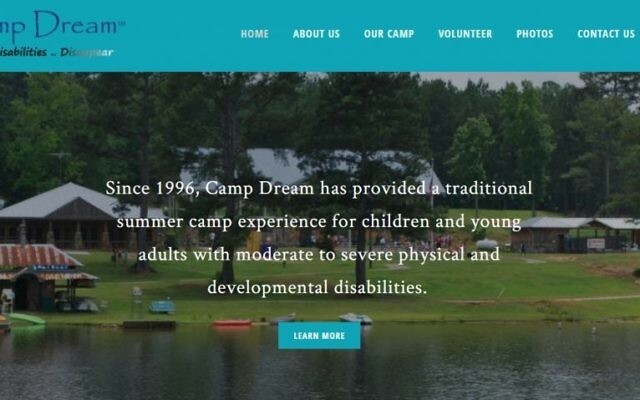 To date, Camp Dream has served thousands of children and adults with disabilities. On Feb. 14, the Camp Dream Foundation (formerly the Georgia Jaycettes Foundation) received a letter from Roosevelt Warm Springs’ governing body, the Georgia Vocational Rehabilitation Agency, requiring Camp Dream to become American Camp Association-accredited before its July camp dates, which is impractical because the average time to complete accreditation, according to the ACA, is 12 to 18 months and is impossible because the final step of accreditation involves a site visit while camp is in operation. CDF began the accreditation process in good faith, in the hope that GVRA would honor the July 2018 dates granted in a meeting Aug. 31, 2017. To date, CDF is fully in compliance with the ACA accreditation process. GVRA is canceling CDF’s summer camp dates just weeks before 200 registered campers are to arrive. Most of these campers will not be accepted into other programs because of their disabilities, their age or program availability. Does this feel like a case of big government squeezing out the little guy? Does this feel like our state leaders don’t care about constituents with disabilities? I ask for all those concerned to let GVRA Director Sean Casey know how you feel at sean.casey@ablegeorgia.ga.gov.